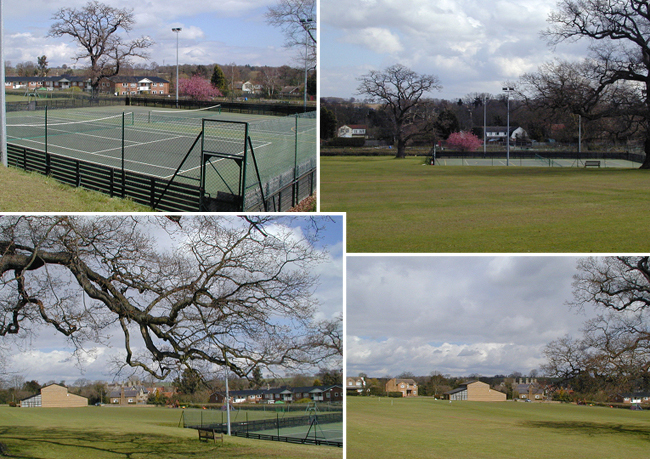 The Sports Field can be accessed by car from the High Street via School Lane. In addition to an adult football pitch and a cricket pitch, the Sports Field is home to a floodlit Multi-Purpose Play Area (MPPA), the Community Hall and a small car-park. Although the MPPA is marked out as 2 tennis courts, is it used for other activities such as training sessions, five-a-side football and so on. The MPPA is open to the public , but the Sports and Social Club has priority use of the facility at the following times. In addition to providing a Pavilion, kitchen, changing rooms and showers, the Community Hall has a large main-hall which is used for indoor sports such as Badminton Kick-Boxing and Ju Jitsu. The Sports Field is also home to a children's play area (comprising swings, a slide and seesaw, etc.) located on a rubber-based safety surface. A set of byelaws is applicable to the Sports Field which among other things forbid the use of golf equipment and taking vehicles onto the field.